Surrey Park Junior Football Club is now seeking applications from suitably qualified and motivated individuals for the 2018 Football season. 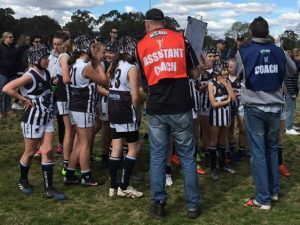 Whether you have coached with us previously or are hoping to join our coaching ranks for the first time, please apply in writing to president@surreyparkjfc.com.au by no later than Sunday November 12th, telling us which age group(s) you’re interested in and advising us of your availability to meet for a short interview prior to the end of November. Surrey Park anticipates fielding teams in all age groups of both Boys (U/10 – Colts) and Girls (U/10 – Youth) football, as well as in mixed entry level age groups (U/8 – U/9). In 2018 all coaches will require Level 1 Coaching certification and a valid Working with Children Check. In the instance that you are successful and do not hold these qualifications we will assist you in obtaining them prior to the commencement of the season.